WILLIAMSPORT, Pa. — As a 10-year-old, Dio Gama walked into Canada in the middle of the night, crossing the border from the United States to join his parents in British Columbia. On Friday morning, Dio, now 13, was driven by chaperones across the Peace Bridge in southern Ontario, returning to his native America to join his teammates from Whalley, B.C., in pursuit of a Little League World Series championship. If the rain holds off, Gama and his teammates on the Whalley Major All-Stars will step onto the historic baseball diamond field in this central Pennsylvania town at 6 p.m. ET to play Panama in Whalley's first game of the tournament. It will be the culmination of a week-long odyssey to fulfil a kid's baseball dream in the face of the adult issues of unresolved immigration challenges and refugee claims. The 13-year-old has spent most of his life in the United States. He was born in Las Vegas. His parents are Mexican. Dio's father, Noe Gama, and his wife moved to British Columbia more than a decade ago. The family's immigration process has been complicated and they are now seeking refugee status in Canada with their latest application under review. Dio's life has been challenging at times, and just getting back to his family was an ordeal. His father says Dio walked across the U.S.-Canada border in early 2015 to be with them. "My boy, he walked to Canada with nothing. He crossed from the states to Canada. He was walking through the night," Noe said. "It's a feeling you only get once in your life. And it was tough. But look at what I'm doing now. It's pretty amazing," Dio said. Dio is about to put on the maple leaf for Canada at this Little League World Series. 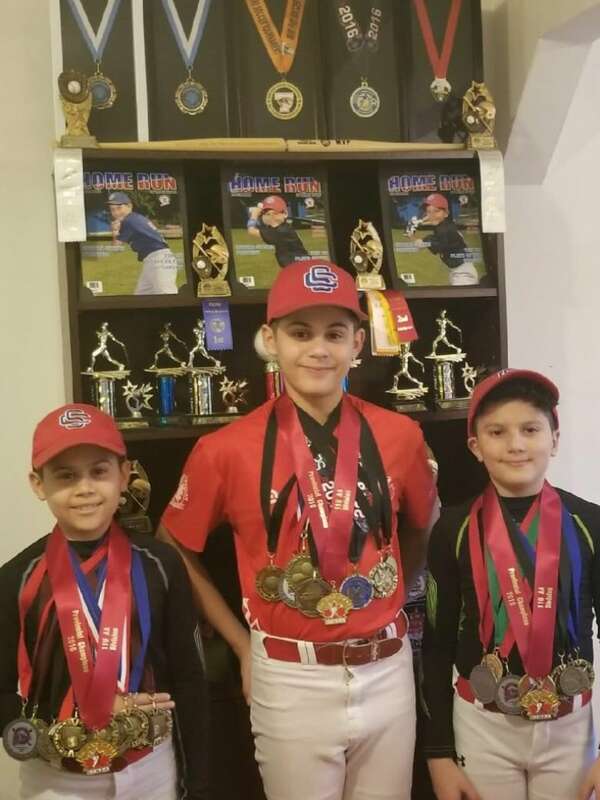 He's spent the last year with Whalley's Little League team out of B.C., which qualified to represent the country at the prestigious tournament by winning the national championship last weekend in Mirabel, Que. Dio is the team leader and seems to play his best baseball in the biggest games. In the title game last weekend, he finished with two triples and four RBIs. But for much of the week leading up to Canada's first game at the World Series, it looked like Dio wasn't going to be able to play with his team because of those complicated immigration issues. The family's lawyer advised Dio not to leave the country for fear he wouldn't be let back in. But on Wednesday, the family was notified federal Immigration Minister Ahmed Hussen was granting Dio a temporary resident permit that would guarantee him re-entry into Canada. "I'm really blessed and thankful for what people did for me," Dio said. "It shows that Canadians really do love each other and they really want to help their country become a better country." Dio has settled into life in Canada, along with his three younger brothers. And it has led to Dio's baseball dream. Prior to arriving in B.C. three years ago, Dio had never swung a bat. It wasn't until he saw other kids playing baseball at the diamond behind the family's house in Surrey, B.C., that he thought about trying it out. "I thought he was a better soccer player," Noe said. "But he was always watching baseball. And then one day he asked me if he could play." Dio picked up the game quickly. In fact, he's excelling at it now. This past season he switched teams to join Whalley in pursuit of getting to the Little League World Series. At 13, this is Dio's last chance to play in the tournament. "It's really competitive. It's a team sport. It's not just about you. And it's giving me so many opportunities," Dio said. This past year, Dio Gama was named athlete of the year at his school. His dream now is to continue playing baseball, get a university scholarship, finish with a degree and then one day play major league baseball. 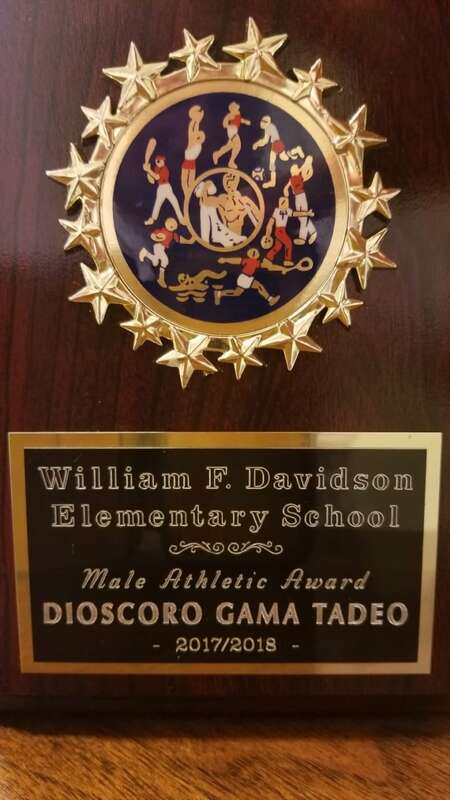 Dio was named William F. Davidson Elementary school's male athlete of the year for his sporting excellence. He says he likes playing all sports, but baseball is his overwhelming favourite. Dio has also been a key ingredient to starting a baseball league at his local churches. "Me and my brothers hold baseball coaching clinics for about 60 kids," Dio said. "And then we all split them up into teams. My brother's team beat my team." The baseball slugger is also helping his dad coach his brother's team. This is Dio's life now and he couldn't be happier. "I think this is all going to take my future to a better place. I'm feeling really blessed and loved by Canadians," Dio said.